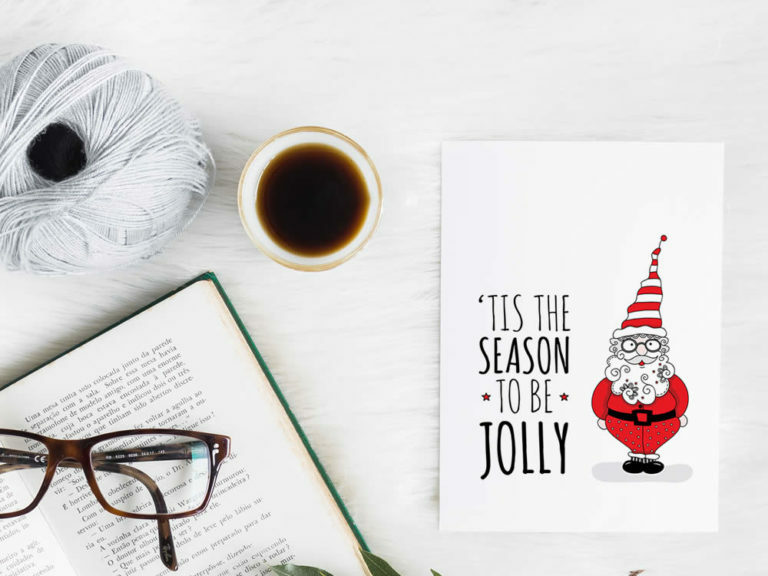 ❤ ‘Tis the season to be jolly! 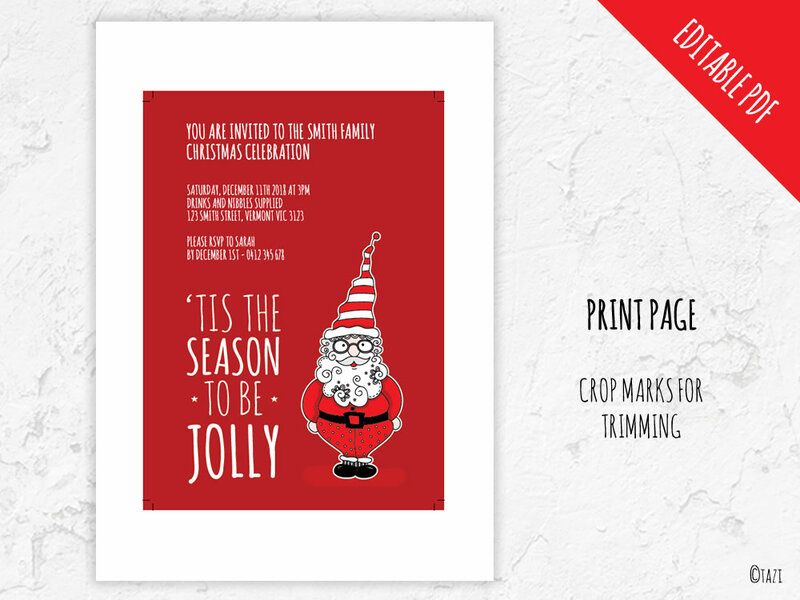 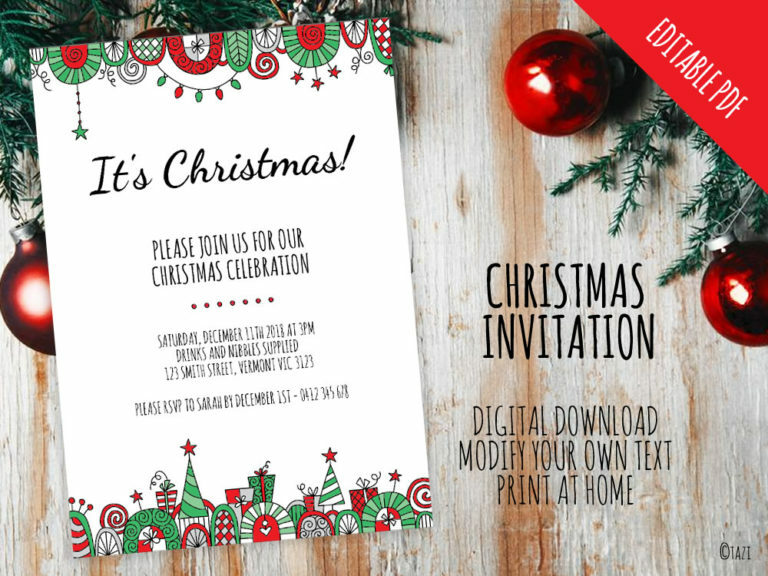 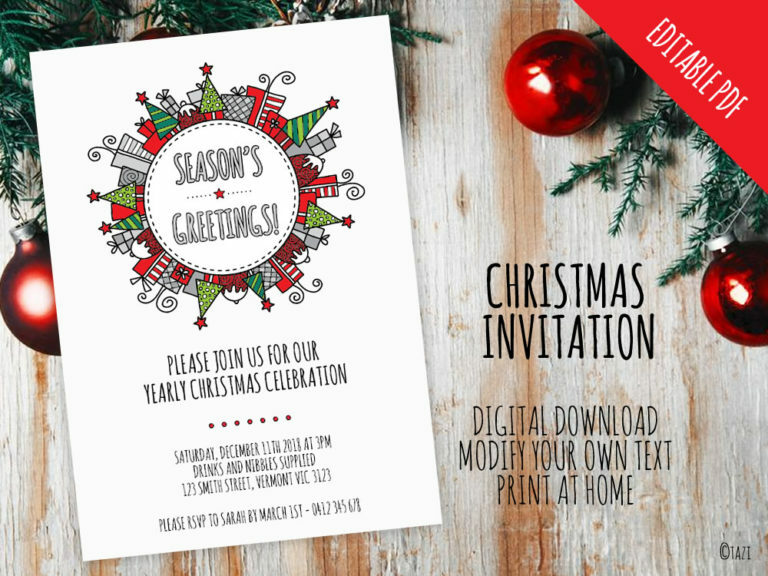 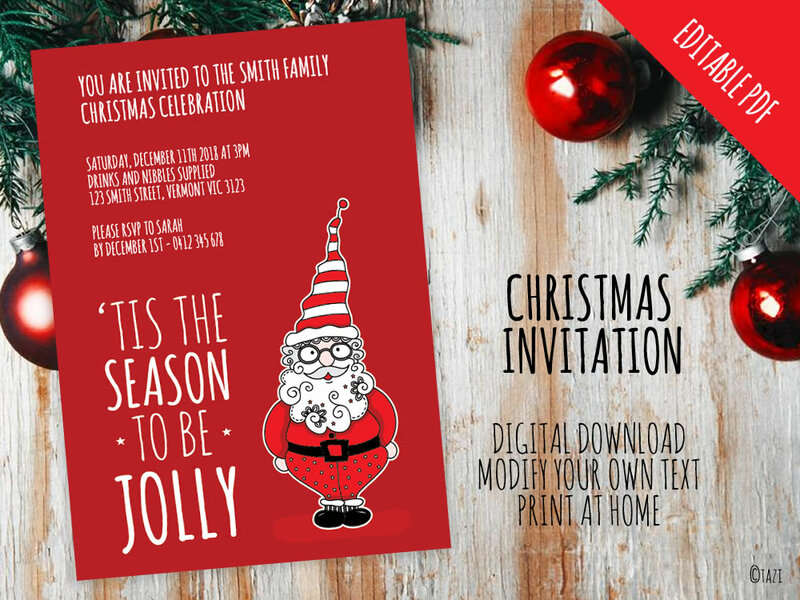 This modern Santa invitation is perfect for any Christmas celebration, just change the words to suit. 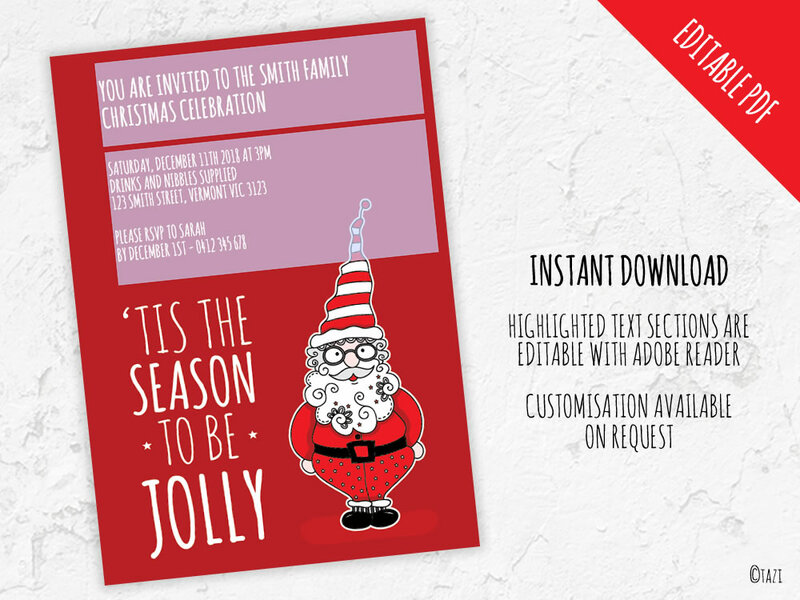 The highlighted text areas are editable with Acrobat Reader (free) and fonts are embedded.